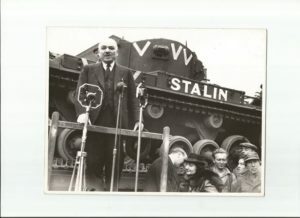 The plan for this blog is to keep you up to date with the goings on at AJS Profiles. 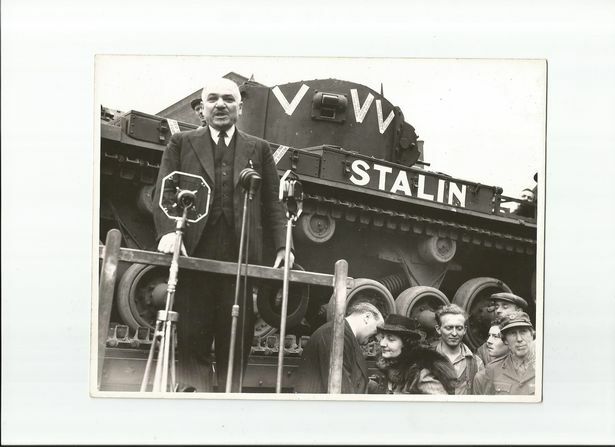 However, instead of boring you with dull stuff like “the latest machine we have brought” or “the newest accreditation we have gained” we intend to keep it light-hearted and poke fun at ourselves. We hope you enjoy it!! 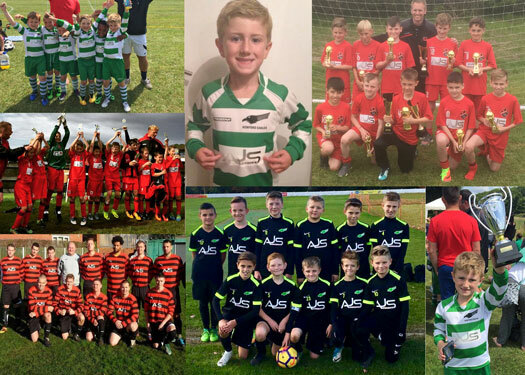 AJS Profiles – The UK’s premier Steel profiling and Lumsden Grinding specialists have been investing in grassroots football for over 5 years now. 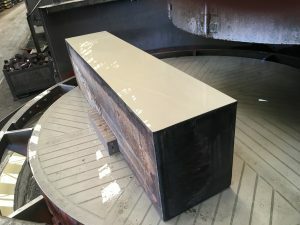 We like bragging here at AJS Profiles at how good we are at steel profiling and Lumsden Grinding. 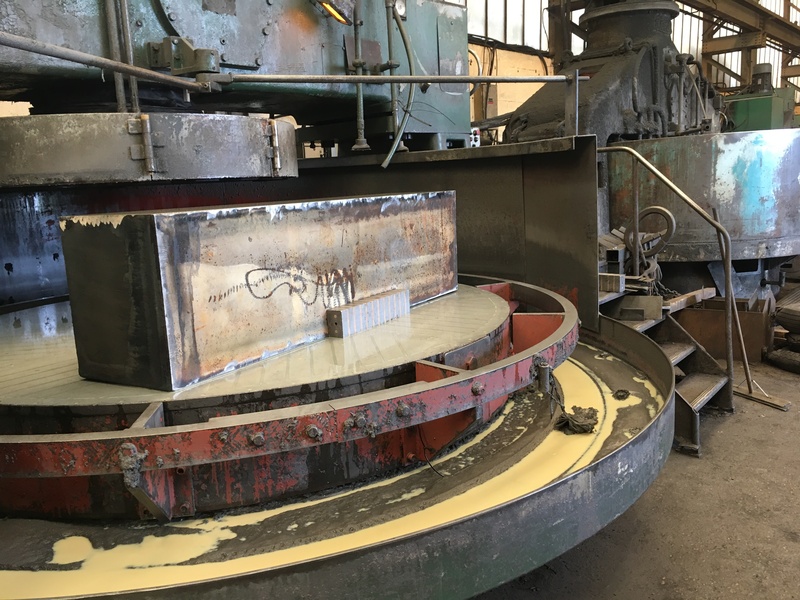 Other steel profiling companies can cut thick material, but very few can cut 400mm thick steel profiles and Lumsden grind them too. This job was a breakdown and was required in 24 hours. 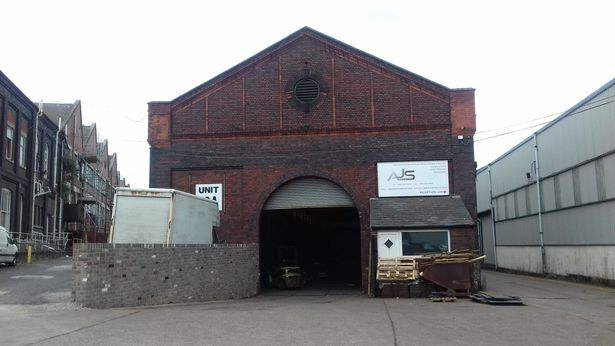 AJS Profiles offer a same day service for urgent breakdowns, so if you need steel profiles quick, contact our sales team. AJS Profiles are proud to announce the sponsorship of the 5th hole at Halesowen Golf Club. Anyone who has played Halesowen golf course will know that the 5th hole is a real beast of a par 4. The photos below show the new signage and we think it looks great. 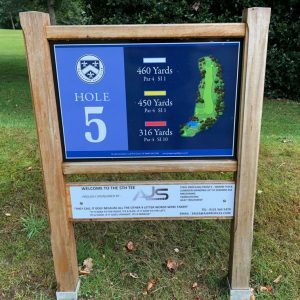 If anyone of our existing, or prospective new customers fancies a round of golf, get in contact with us. We have corporate membership and our resident professional and Director Anthony Shanian (pictured) would be more than happy to thrash all of you!! For all of your Steel profiling, Lumsden grinding and golfing requirements, contact our sales team. Whats the difference between a legendary country and western singer, a celebrity chef and a steel profile and lumsden grinding salesman??? not much by the looks of it! 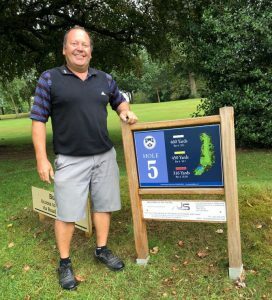 Super salesman Bill Gould can’t sing and he certainly cant bake but he has a great knowledge of everything related to Steel Profiles and Lumsden Ground blanks – give him a call today…. but dont ask him to sing!! 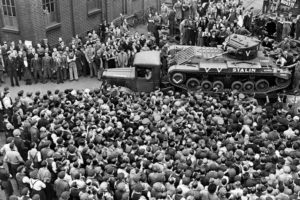 AJS Profiles, Guy Martin, World War 1 tanks and World war 2 tanks !! 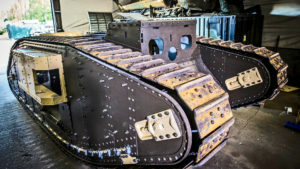 AJS profiles, the UK’s steel profiling and Lumsden Grinding specialist has recently seen its profiles being used in a World war 1 reproduction of a Mark IV tank and also having a fantastic article written about our premises in the Black Country Bugle about tanks being built for World War 2. 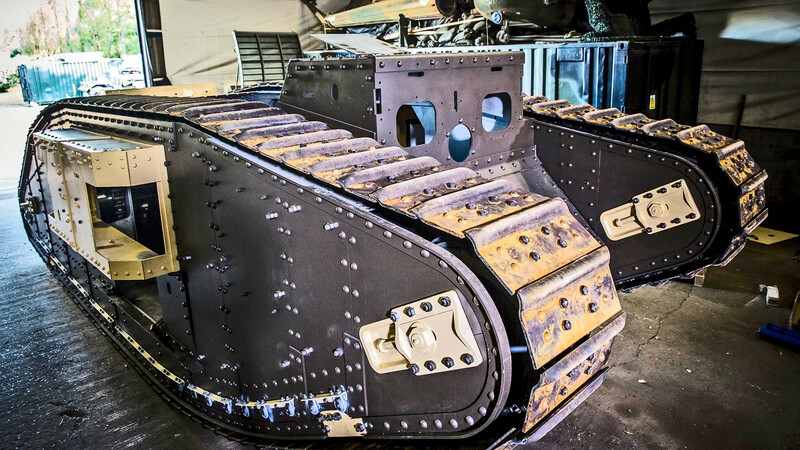 Firstly, AJS Profiles were asked to produce parts for a TV show that was going to be all about TV personality Guy Martin building a WW1 replica of a Mark IV tank. 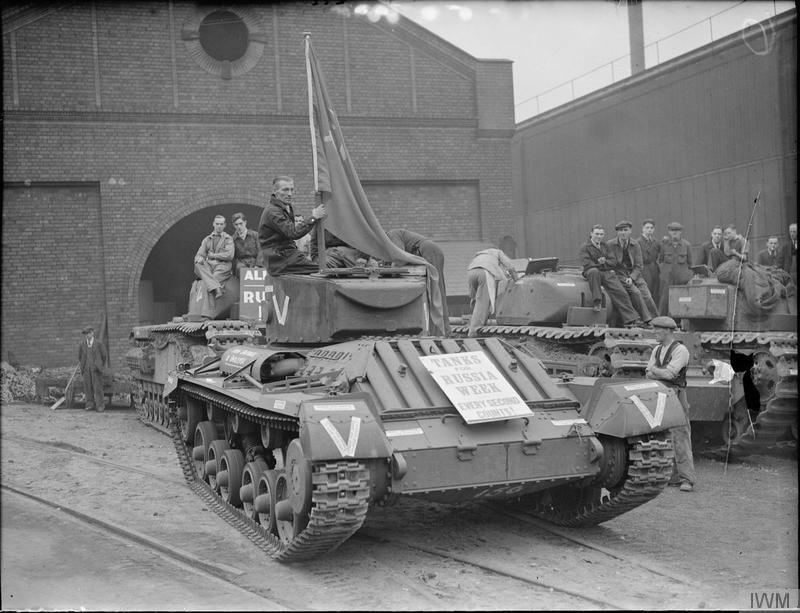 We steel profiled a number of flamecut blanks that were used to produce the the tanks track. 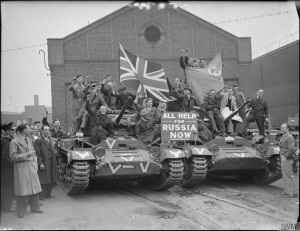 The program was aired on channel 4 and was a fantastic success. 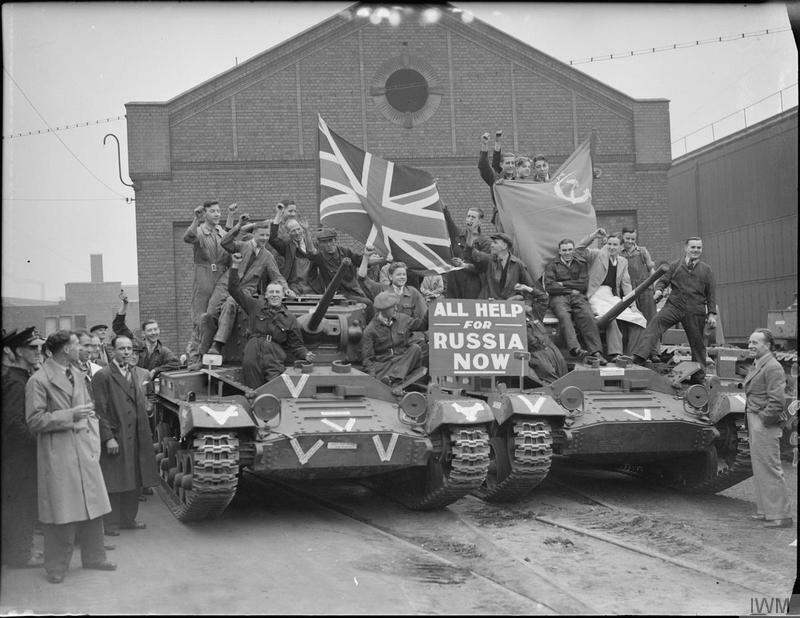 Within weeks of the program being shown on TV, we were approached by a historian called Ken Ford, who had some photographs showing World War 2 tanks being built in our factory in Smethwick for the Russian Army in 1941. 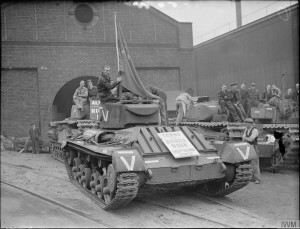 We had seen some of the pictures before, but there were also new pictures which showed a lot of the workers of the then Birmingham Rail and Carriage works surrounding the freshly built tanks. 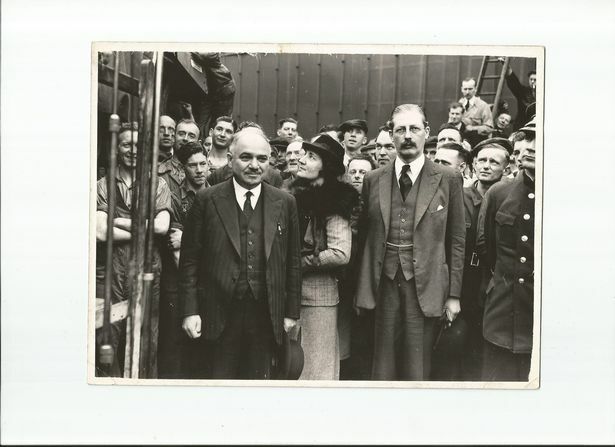 The best picture is of Harold Macmillan (Prime minister 1957-1963) and Russian ambassador to the UK Ivan Maisky. 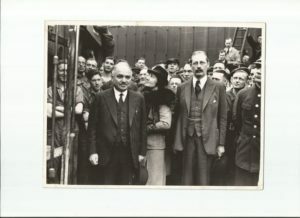 Mr Macmillan looks a bit on the grumpy side – he probably couldn’t understand the Black Country dialect of the workers!! The Photos below are of the visit and the final picture is of our number 1 works today. The article can be viewed here on the Birmingham Mail website. AJS Profiles today have 2 Factories on the same site with 50,000 sq ft of indoor production space. All our steel plate is stocked inside unlike most Steel Profilers. 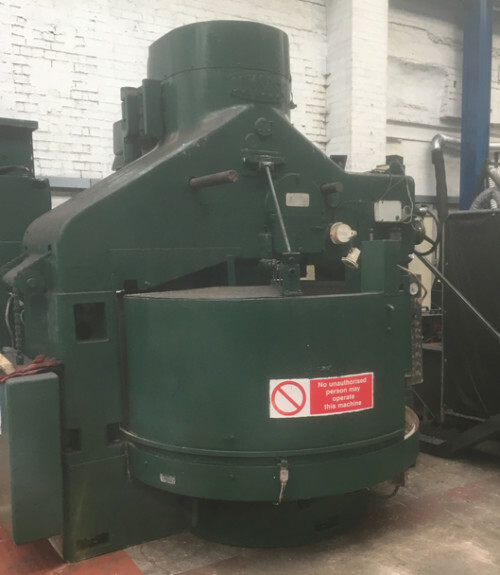 AJS Profiles have the largest selection of Lumsden Grinders in the World (22) – including the Largest Lumsden Grinder ever made. We also have 2 plasma cutting machines and 10 steel profiling machines. We also stock 2,000 tonnes of steel in various grades. All of these machines and stock allows AJS Profiles to have the quickest turnaround in the UK and a very satisfied customer base. No-one in the UK apart from AJS Profiles can cut 330mm thick steel plate and grind a 3400mm diameter steel profile in the same factory . 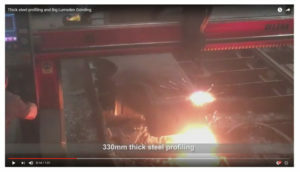 Click on the link below to see both large Lumsden Grinding and thick steel profiling in action. The largest Lumsden Grinder we have has a 3430mm diameter table – the largest in the UK. AJS Profiles stock up to 500mm thick plate and lead times are normally half that of our competitors. Faster than a speeding bullet!! 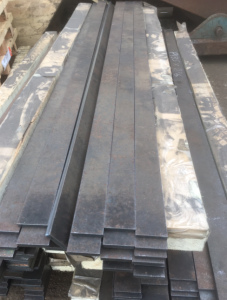 Here at AJS Profiles we pride ourselves on quick deliveries of our steel profiles and lumsden ground blanks. We offer a 24 hour service for customers who require a really quick turnaround – We have done a steel profile this week that was cut, stress relieved and ground in 24 hours! The industry standard lead time for a steel profile that is cut, stress relieved and ground is approximately 7-10 working days! We are currently experiencing a huge surge in business with many new customers coming to AJS Profiles because our lead times are way below industry averages. 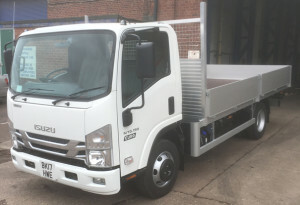 Its always nice to hear compliments and we are getting plenty at the moment – we even had a customer telling us to add a bit more money onto the order because “AJS profiles look after us so well and we are so happy with your service!” That is a first for us!! For all your steel profiles and lumsden grinding needs, give AJS Profiles a call. 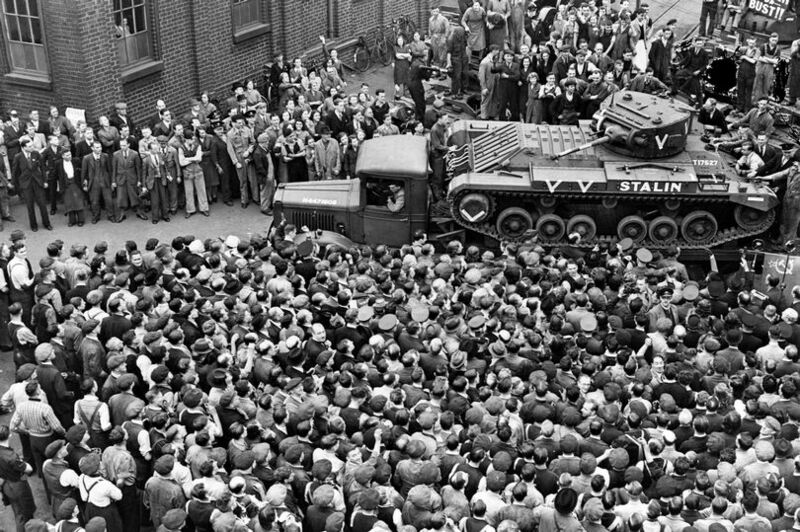 AJS Profiles have had the chequebook out again and invested in some new additions. 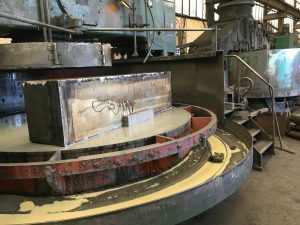 In the past week we have commissioned a 48 inch Lumsden Grinding machine, a 60 inch Lumsden Grinding machine and a brand new 7.5 tonne wagon. 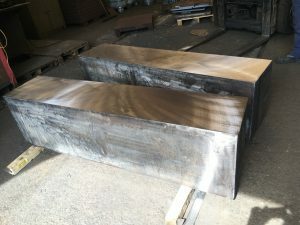 These new additions were required to keep us ahead of our competition in delivering steel profiles and Lumsden ground profiles in 2-3 days – half the industry standard. 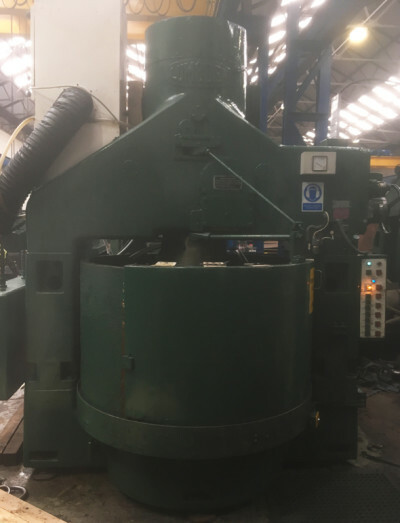 This takes our tally of working Lumsden Grinding machines to a whopping 21 – that is almost double the amount of our nearest competitor!! We now have 3 x 7.5 tonne wagons and 4 smaller wagons that allow us to deliver to our growing customer base. For industry leading deliveries of steel profiles and high quality Lumsden grinding, get in touch today.